OKLAHOMA CITY, Okla. — Voters in Oklahoma have rejected a ballot proposal that would have allowed the Ten Commandments to be displayed on the grounds of the state capitol building. As of press time, State Question 790 had failed with over 55 percent of voters saying no an initiative that asked whether or not the state Constitution should be amended to allow government property to be used for religious benefit. “This measure would remove Article 2, Section 5 of the Oklahoma Constitution, which prohibits the government from using public money or property for the direct or indirect benefit of any religion or religious institution,” the ballot question read. 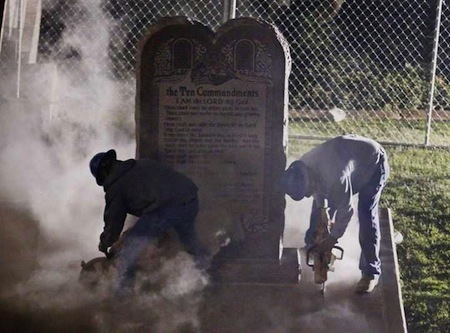 In April, following the removal of the Ten Commandments monument and a determination among some to have it restored, lawmakers approved a resolution to place the Ten Commandments controversy on the Oklahoma ballot.